The sinking feeling is better than the exploding feeling any day. 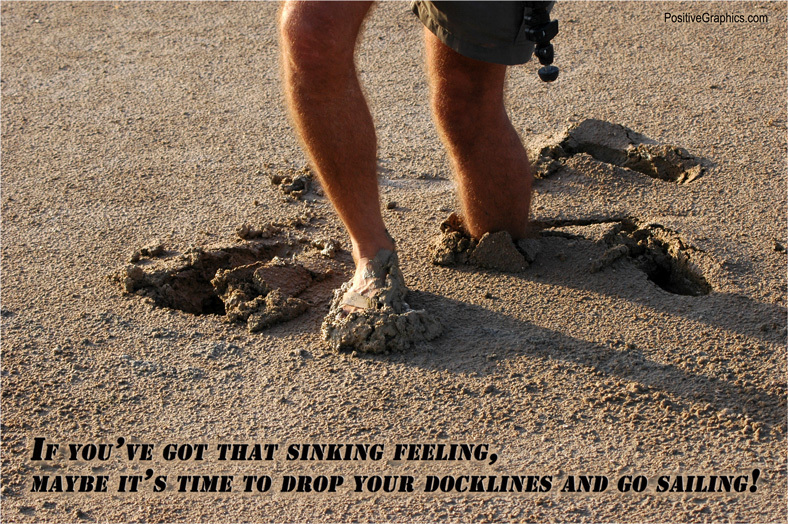 Take a look at David sinking down to his calves in soft mud on Difnein Island in the Red Sea. This picture doesn't show the expensive video camera that he has in his hands as his feet disappear beneath the mud - hopefully not quicksand. You can just see the tip of the tripod at this top of this picture, evidencing the fact that David and his camera are foundering in the muck. Sinking in the mud can be scary because you don't know how far down you are going to sink. Fortunately, there were some rocks nearby and David handed me the camera. That lightened his load by about ten pounds and freed up his hands so he wouldn't make a swan dive into the mud after losing his balance. The suction from the muck almost claimed his Teva sandals, but resourcefulness and perseverance made it possible to save David, Tevas, and camera. Unknown to us, several hundred yards to the east, there was a minefield on Difnein Island. There weren't any sign posts warning people about the land mines, and we strolled through the minefield visiting a giant osprey nest, and we also followed the tracks of sea turtles who laid their eggs high up on the beach. We were fortunate to not get blown up during our Difnein Island Adventure. After we returned to our yacht, someone called us on VHF radio and told us about the land mines. 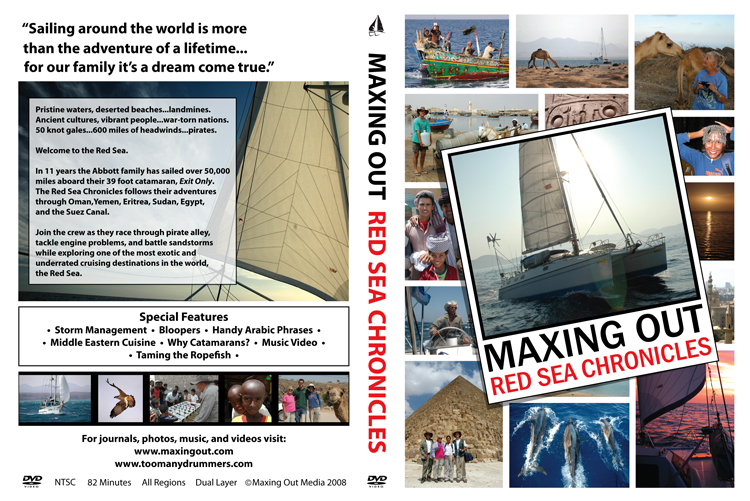 We went to another boat and checked the Red Sea pilot, and sure enough, the map of the eastern half of the island showed landmines. Whoops. That was a close call. There's no doubt about it. During that day on Difnein Island, life was good.